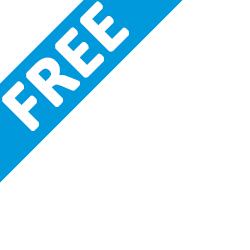 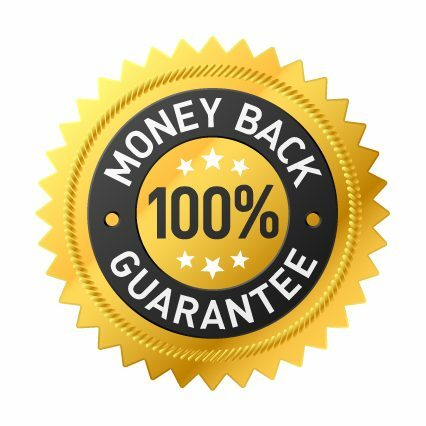 Is our most popular free coaching tool and has been downloaded over 150,000 times (and counting)! 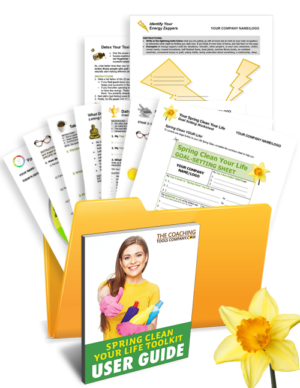 Includes a page of instructions with helpful questions to easily guide your clients through the Wheel of Life exercise. 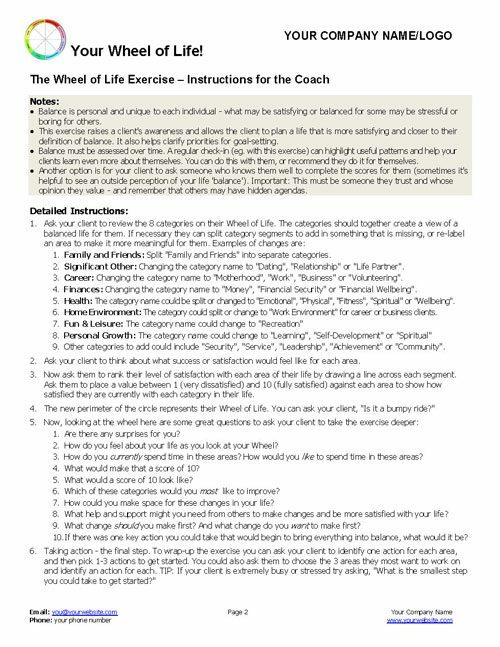 PLEASE NOTE: The Wheel of Life Template is just one of over 20+ FREE Coaching Tools, Forms & Exercises and is also found in our best-selling Welcome Pack Toolkit!. 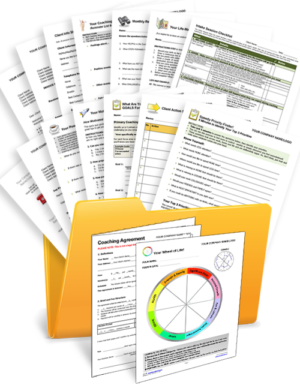 The Wheel of Life Exercise is a great free coaching tool to help your client see how balanced their life is, clarify priorities for goal-setting, assess progress and as a regular check-in with your clients. 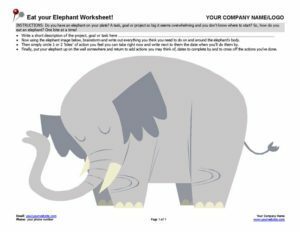 Like all of our coaching tools and free coaching templates, it's customisable so you can brand it with your name and company logo. 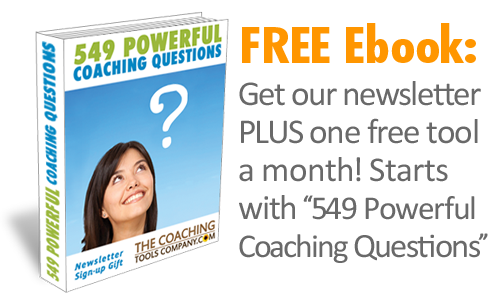 This is a tried-and-true coaching tool - arguably the most versatile tool in any coach's toolbox. 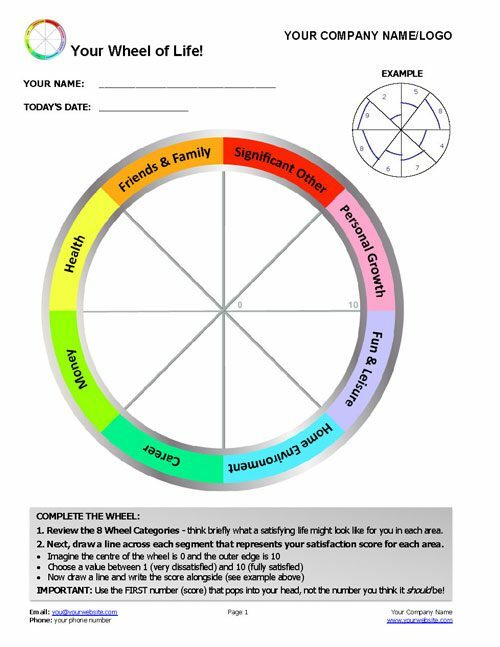 How To Create MEANINGFUL Goals With The Wheel of Life Tool! 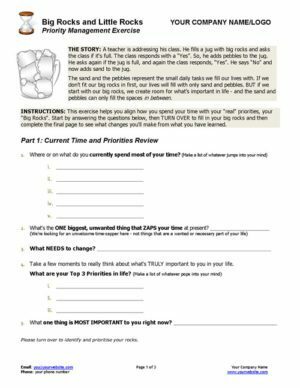 Learn more about how to use The Wheel of Life Template to Measure Progress Towards Coaching Goals! 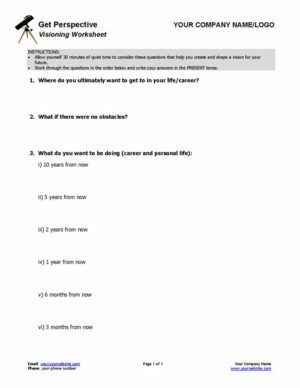 Big Rocks and Little Rocks Exercise!